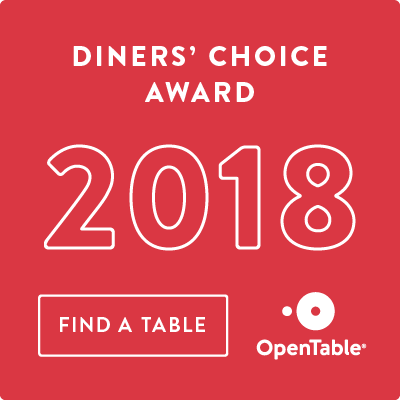 OpenTable Diners’ Choice Award 2018 Winner! Chapel Grille has been selected by OpenTable diners as one of the best! The Diners’ Choice Award lists are designed to celebrate top-rated restaurants, each month Open Table feature Diners’ Choice winners on their website!